Can you see you name? Here is an image of the inside rim of a ships bell from HMNZS TUI 1970. The bell was engraved inside the rim with the name of those who were christened onboard. 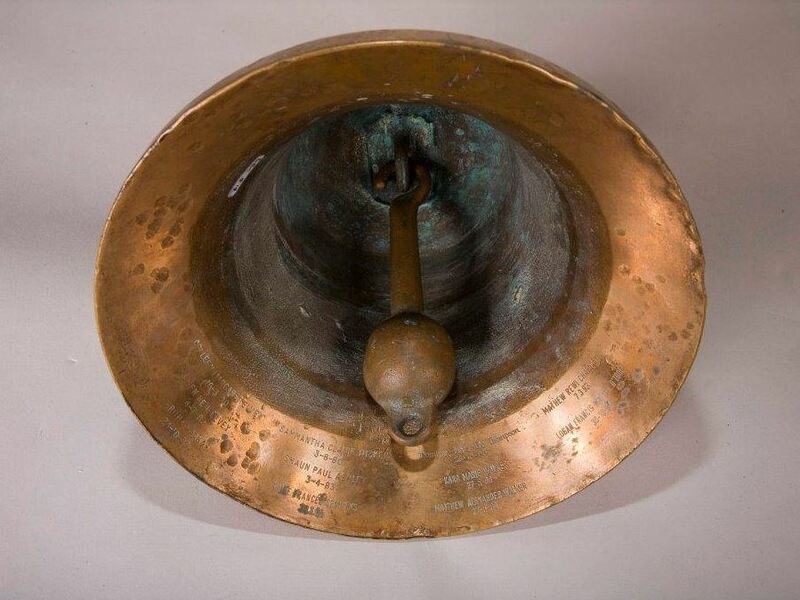 It is traditional for children of members of the ships company to be christened under the ship’s bell or to use the bell as a christening bowl. Thanks to the Navy Museum for the image.